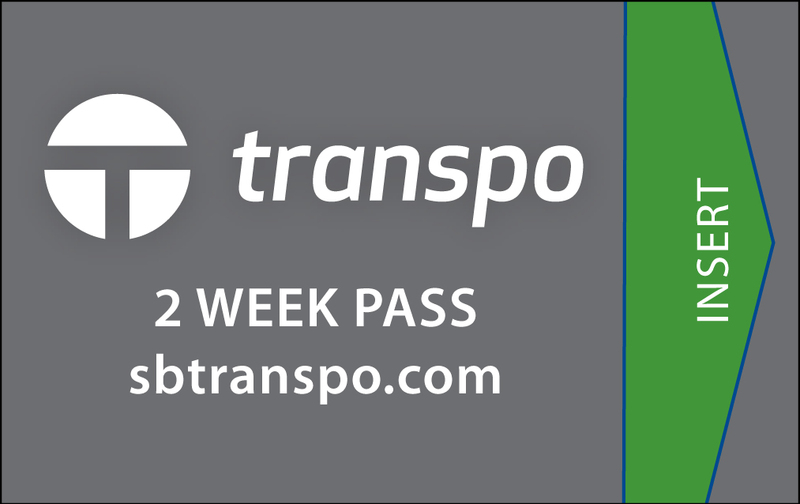 Transpo is committed to providing safe, reliable, courteous, accessible and user-friendly service to its customers. To ensure equality and fairness, Transpo is committeed to making reasonable modifications to its policies, practices and procedures to avoid discrimination and ensure programs and services are accessible to individuals with disabilities. Requests for modifications can be made by calling 574.232.9901 or emailing businfo@sbtranspo.com. Select the route to your destination and arrive at the bus stop at least five minutes before your bus is scheduled to depart. Each bus displays the name and number of the route above the windshield and next to the front door. Make sure you are boarding the correct bus as several buses may travel along the same route. 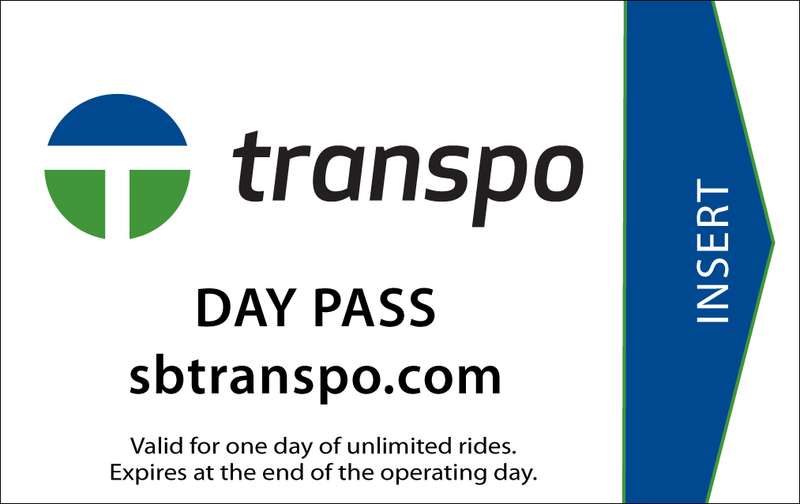 Please have exact fare ready to deposit in the fare box or have your day, two-week or 31-day bus pass ready. 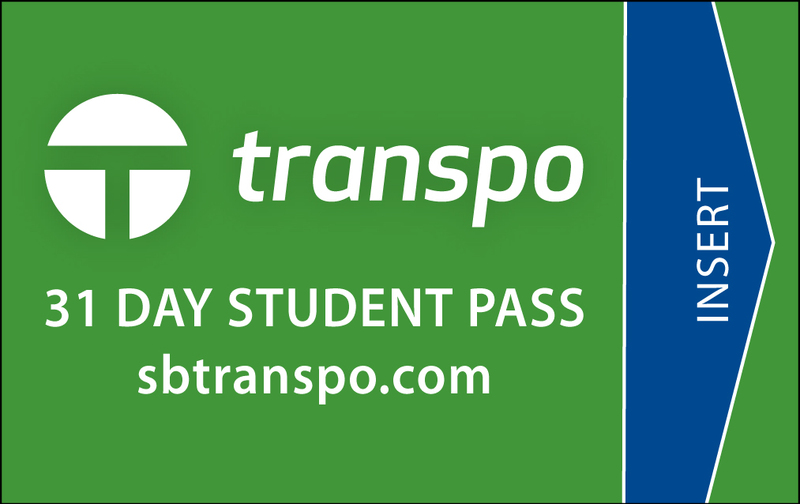 Click HERE for information on purchasing bus passes. When you are about a block away from your destination, signal the driver by pulling the cord above or between the windows. All Transpo buses are wheelchair accessible, in accordance with ADA guidelines and regulations. The following guidelines have been put in place to protect the safety of children and other passengers on the bus. Folding the stroller not only makes it easier for other customers to get on and off the bus, but it makes the ride safer for the adult customer and child. A child in a stroller runs the risk of being injured as a result of sudden bus movements. Please remove the child from the stroller and fold the stroller prior to boarding the bus. The folded stroller should be stored under or between the seats and out of the way. Strollers may not block the aisle or doors at any time. The child must be held in the lap of the adult customer or in the seat alongside the adult for the duration of the ride. The care and control of the child is the responsibility of the adult passenger. Operators are unable to assist with the boarding, folding and storing of strollers. Passengers are prohibited from standing in front of the white line and may not distract the driver. Smoking is prohibited on all Transpo buses and properties, including transfer centers and administrative offices. Eating and drinking on board is prohibited. To avoid spills and litter, please keep any food and liquids carried on board unopened. Please be courteous and give up your seat to an elderly or disabled rider. The side-facing seats at the front of the bus are reserved for these individuals. Music requires the use the headphones. Certified service animals and small animals in enclosed cages are allowed on Transpo buses. Riders must be able to carry on all bags / items in one trip without assistance from drivers (see above stroller guidelines). Firearms and weapons are not permitted on board Transpo vehicles.